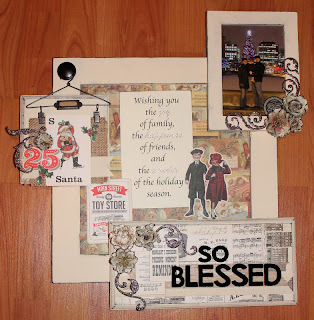 I had a lot of fun making this project for Treasured Memories! They gave me the City Sidewalks collection from Pink Paislee, which was full of great little, old-fashioned die-cuts and pretty, Christmas-y colours. I used it to make a wall-hanging that combines some IKEA frames, a door knob, some glitter and flowers and burlap, and some great wooden plaques that my brother made me. The best part is that I made it so I can change it up for each season. I'll leave the 'so blessed' plaque, because we really are blessed, but the other three pieces will be changed up as I see fit (or possibly as I get around to it). The little plaque with the hanger can be changed to hang something else. I'll just clip something new on with the cute alligator clips. 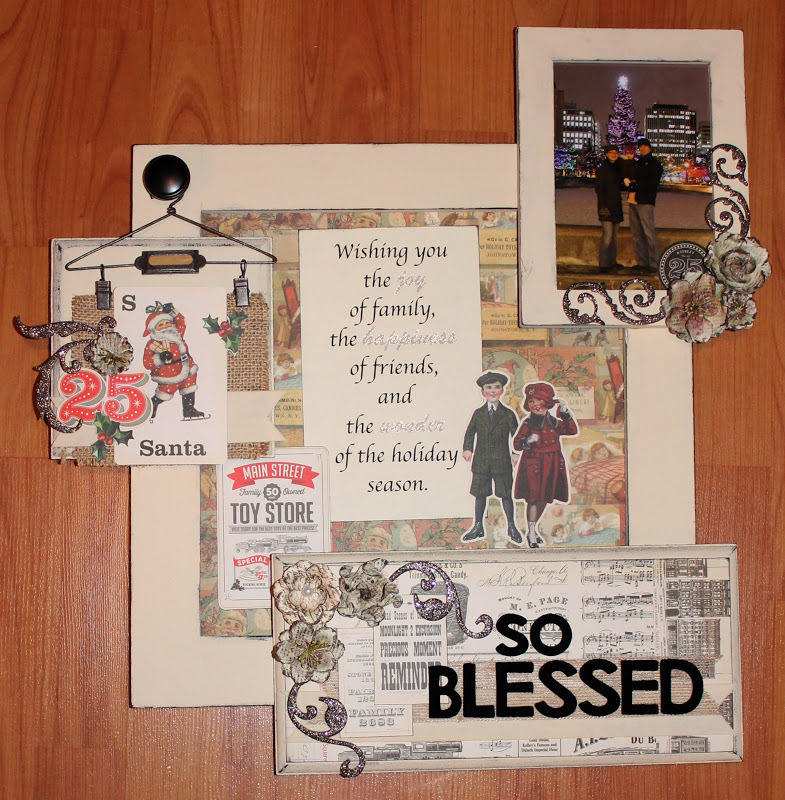 The large frame in the middle can be changed just by slipping in a new 12 x 12 sheet of paper, with a new saying and some decorations. And the picture can be replaced to match. 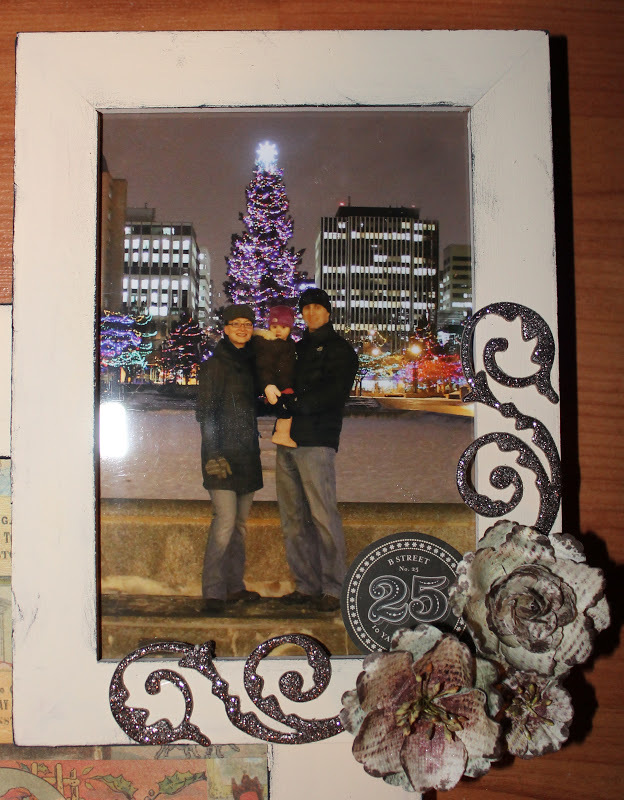 Keeping this in mind, I went neutral with the frame and the decorations that would be remaining. I'm happy with how it turned out. Hope you like it!